Wireless set-ups for the QED. Thanks Grumpygold , I haven't purchased anything yet just looking at options first... I got to thank Northeast for starting this thread, its good to hear what people have tried and what works and what doesn't. I will post a photo of the rx/tx unit I was looking at, they don't actually have phones with them you use your own. Minelab SDC 2300, Minelab Equinox 800, Minelab X-Terra 705. Rockdev, that is the same unit I have just tested and is fine on the QED. Grumpy gold, no pulsing, interference, or lag. Seems to work as well as the Z Lynk but is much cheaper. Thanks Reg, it works on 2.4ghz transmission instead of Bluetooth like most wireless headphones do. That may be the key as the Garret Z Lynk uses a similar protocol and no Bluetooth either. hi reg mine were the detetnix ones, the Q20 from memory nenad was selling them dont know if he still does, found alot cheaper combo thats works way better, the key is nothing under bluetooth 4, thats what ive found anyway, bt3 pulsing bt2 constant weird annoying background squeel, lots written about them in earlier posts. grumpy gold, yes mate tried a bluetooth setup a while back that gave the same problems as you describe. The guy that sold it to me said it was the latest and greatest. Yeah, right. He got it back, and I got a refund. 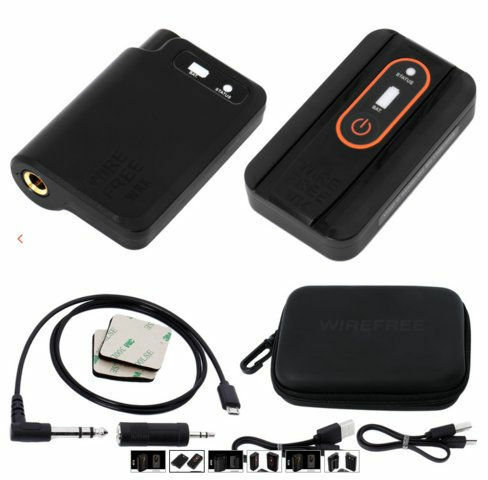 Thanks Reg for the update sounds like a winner mate Now on further searching for the Deteknix unit it looks like the Quest WireFree System is the same unit only selling under its new Company name Quest. If that is the case it should be a good match for the QED. The new Quest version is as you posted earlier. Both versions operate on the same 2.4 GHz system. Thanks Phase Technical, the new improved system is really good. Happy to endorse it. Most of the Bluetooth wireless units I tried were sold as BT 4.0 or higher & still had pulsing issues &/or low volume. Some of them I tried with other detectors worked fine. Only one unit was under version BT 4.0 (Avantree Saturn Pro which are BT 3.0) & even they worked well on other detectors being APTX Low Latency. Wireless set ups with the QED are hit & miss at best. None of which use Bluetooth of any version. I'd be sticking to one of these user proven units for the QED rather than getting on the Bluetooth merry-go-round. May save you money in the long run by investing a bit more in quality initially. The Quest set up certainly looks to be value for money. Yes I will be doing the same mbasko. I have purchased so many things over the years only to have to re buy again when the others don't work as they should. You can say that again Rockdev. Unfortunately the XVIVE wireless guitar Wi-Fi system I tried didn't work. I even got some custom adapter leads made up from SteelPhase (and some great advice too) but it didn't work. Sound would come through but it was pulsing terribly and simply could not get anywhere near a smooth threshold. So I have a wonderful new XVIVE wireless guitar system that apparently works perfectly for guitars if anyone wants them. As per the link above in my last post they also apparently work perfectly on the GPX series. They are normally $200, I waited for some time for them to come on the spesh and got them for $170. They have been used for about 5 minutes, recharged and packed away. $165 including postage with tracking and anyone can have them. For whatever reason I thought the Deteknix kit was Bluetooth and not Wi-Fi and I was trying to stay away from Bluetooth. It wasn't until after I had ordered the XVIVE and I was looking at PhaseTech's website for coils and had a quick squiz at the updated Quest version and realised they are actually Wi-Fi. And they are only $140. And Reg has tested them on the QED and they work. 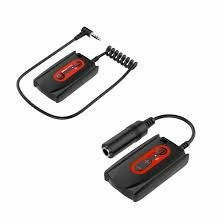 And they are plug and play with no extra leads/cables. And they have volume control. DOH!! Or gee that's a bugger mate, I still haven't got around to getting one of the quest setup's as yet but they seem to be a good option for the QED. Someone should snap up your XVIVE system mate as it looks like a quality bit of gear, bloody shame it interfered with the QED. With the QED best to stick with tried/proven Northeast. Trust me I spent way too much money trying different things myself but it's all part of the hobby to I guess.